A mental health technician by profession, Todd Belok serves on the care team at Temple University Hospital – Episcopal Campus in Philadelphia, Pennsylvania. In his free time, Todd Belok enjoys grilling and smoking meat. If you are planning to smoke meat at home, one of the first things you will need to do is select a smoker. Charcoal smokers tend to be the easiest for beginners to control, as they typically use easy-burning charcoal in combination with wood for flavor. Pure wood smokers often lead to more flavorful meat, but maintaining an even temperature may be more difficult. Hardwoods, such as oak, pecan, or hickory, tend to generate the most aromatic smoke. Each wood has its own flavor, from the strong smokiness of mesquite to the sweet and mild apple. Regardless of wood variety, a good hour’s soaking of smaller chips helps to keep the wood wet so that it smokes longer. 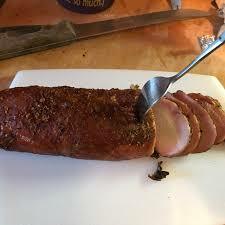 Many smokers choose to get even more flavor by using a rub or marinade on the meat. This also tenderizes the cut of meat and improves the texture. After rubbing or marinating the meat, you just need to heat the smoker to 250 degrees before putting the meat on the grill. Once you add the meat, you can let the temperature drop to 220, but you will need to track it carefully so that it doesn’t fall too low. You will likely need to add new wood or charcoal every 30 minutes, but it is important not to check the temperature by lifting the lid. You should not need to open the grill except to add wood or charcoal until 10 or 15 minutes before the meat is done, as this is an ideal time to add an extra dose of seasoning glaze.